Jane Addams and Hull House were pioneers of social reform in the United States. Addams’ efforts, both through Hull House and independently, laid groundwork for women’s rights, children’s rights, workers’ rights, and education still felt today. Born Sept. 6, 1860 in Cedarville, Ill., Jane Addams’ early life was one of privilege and education. The daughter of an affluent, influential family, she graduated Rockford Female Seminary in 1881 an exemplary student and leader. A few years following graduation, Addams took an inspirational trip to England with close friend Ellen Gates Starr, which introduced her to the social philosophy of John Ruskin and to a London settlement house, Toynbee Hall. Toynbee Hall served one of London’s poorest neighborhoods, offering recreation and educational programs. Her experience inspired her to open a settlement house in Chicago. With Starr, Addams rented the Charles Hull mansion in an impoverished Chicago neighborhood and Hull House opened its doors on September 18, 1889. Addams and Hull House led the progressive charge in Chicago and in the United States. The work of Hull House resulted in numerous labor union organizations, a labor museum, tenement codes, factory laws, child labor laws, adult education courses, cultural exchange groups, and the collection of neighborhood demographic data. Addams was a prolific writer and public speaker. She helped establish the Chicago Federation of Settlements, the National Federation of Settlements and Neighborhood Centers. She was a leader in the Consumers League and served as the first woman president of the National Conference of Charities and Corrections (later known as the National Conference of Social Work). She was chair of the Labor Committee of the General Federation of Women’s Clubs, vice-president of the Campfire Girls, and a member of the executive boards of the National Playground Association and the National Child Labor Committee. In addition, she actively supported the campaign for woman suffrage and the founding of the National Association for the Advancement of Colored People and the American Civil Liberties Union. 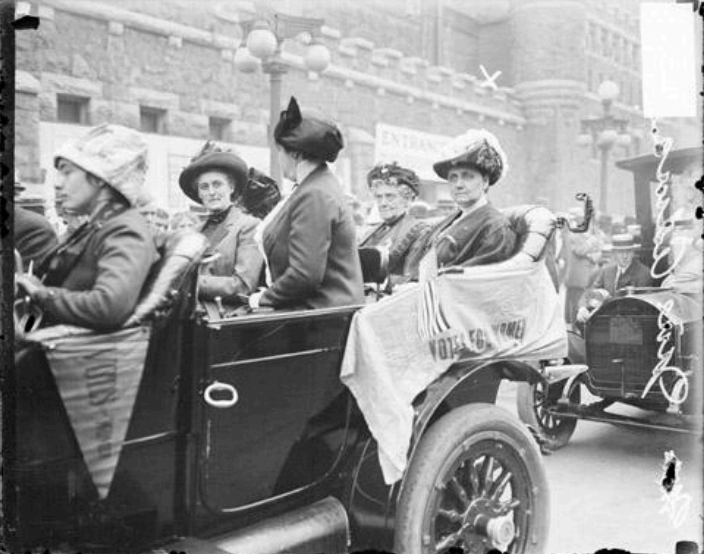 During WWI, Addams, a pacifist, attended International Congress of Women at the Hague in 1915, attempting to stop the war. In 1917, she helped found—and served as first president of—the Women’s Peace Party, which became the Women’s International League for Peace and Freedom (WILPF) in 1919. She was awarded the Nobel Peace Prize in 1931. Jane Addams died of cancer in Chicago on May 21, 1935, and was buried in her childhood home town. In 1889, Jane Addams and Ellen Gates Starr opened Hull House as a place to offer accommodation, education and opportunity to the residents of the impoverished Halsted Street area, a densely populated urban neighborhood of Italian, Irish, German, Greek, Bohemian, Russian and Polish Jewish immigrants. Hull House offered residences, as well as a place where immigrants and neighbors could commune, learn, share and acquire the tools that would help them put down roots in their new country. There were kindergarten and day care facilities for the children of working mothers; an employment bureau; an art gallery; libraries; English and citizenship classes; theater, music and art classes; cooking, sewing and technical skills; and American government classes. The complex expanded to include thirteen buildings and supported clubs and activities such as a Labor Museum, the Jane Club for single working women, meeting places for trade union groups, and a wide array of cultural events. Hull House was truly a safe haven, where immigrants could find a sense of community. Hull House was the second settlement house to open in the United States, and of the hundreds of similar settlements opened around the country at the time, it was by far the most famous, most influential, and most innovative. Hull House closed its doors for the last time in January 2012. 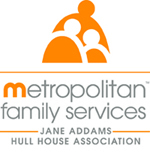 For more about the histories of Jane Addams, Hull House and Metropolitan Family Services, click here.